It was only when filling in my new diary that I suddenly realised that Valentines Day is on a Friday this year. I wish it could be on a Saturday or Sunday every year but the reality is that, more often than not, Valentines Day falls on a weekday when the majority of us are at work during the day. If you’re finishing work at 5.30pm and have a dinner date at 7, you’re left with very little time to get ready by the time you get home so today I wanted to share with you some products that are great for helping you to look your best in a hurry. There are five parts to my Valentines Night rush to get ready and that’s Tan, Make Up, Hair, Outfit and Nails. 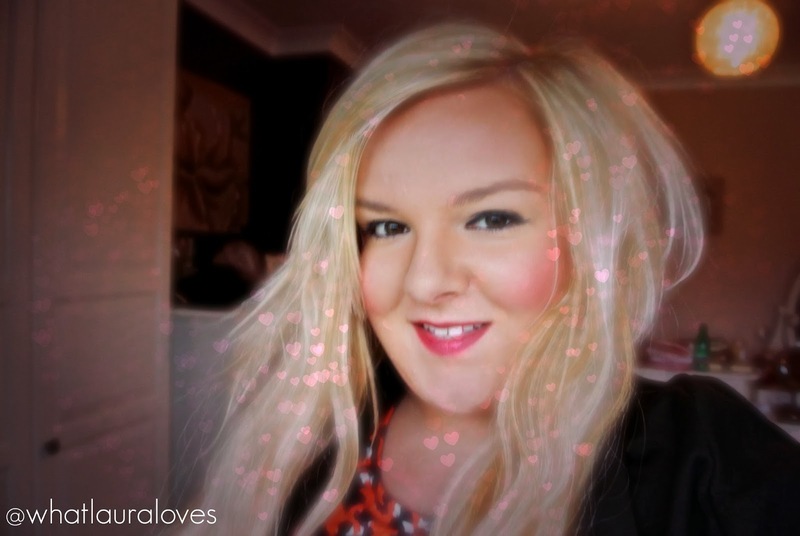 Lets see how you can look Valentines night ready in one hour flat. I’ll start with the Tan as that’s the first thing that I apply as soon as I get home. 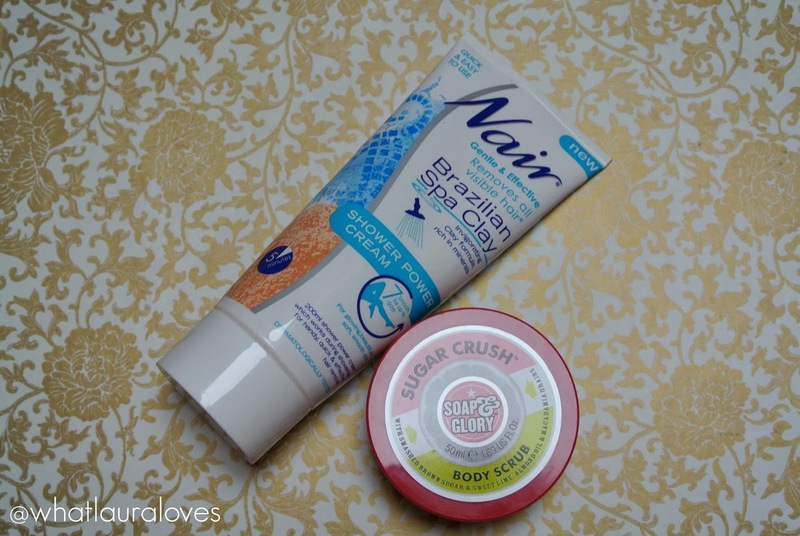 The day before an event that I know I’ll be rushing to get ready for, I make sure that I use my hair removal cream (Nair Brazilian Spa Clay Shower Power Cream) and exfoliate my body using my favourite body scrub, Soap and Glory’s Sugar Crush. This means that my skin is soft, smooth and hair free, ready for tan to be applied. On nights when I am in a mad rush to get out, I opt for the Fake Bake Bronzer. This is an instant tanning lotion with a wash off formula so if you need to be in work the next day and you don’t want to be tanned then you can simply jump in the shower the next morning and the colour of the tan will come off effortlessly. A lot of people are wary of instant tan but they’ve come a long way since Rimmel’s Sun Shimmer days in the 2000s and Fake Bake have got instant tan down to a T.
The Fake Bake Bronzer has a matte finish so it isn’t going to look super sparkly or shimmery- if you’re wanting a shimmer finish, perhaps for your legs then they do have a Shimmer version. 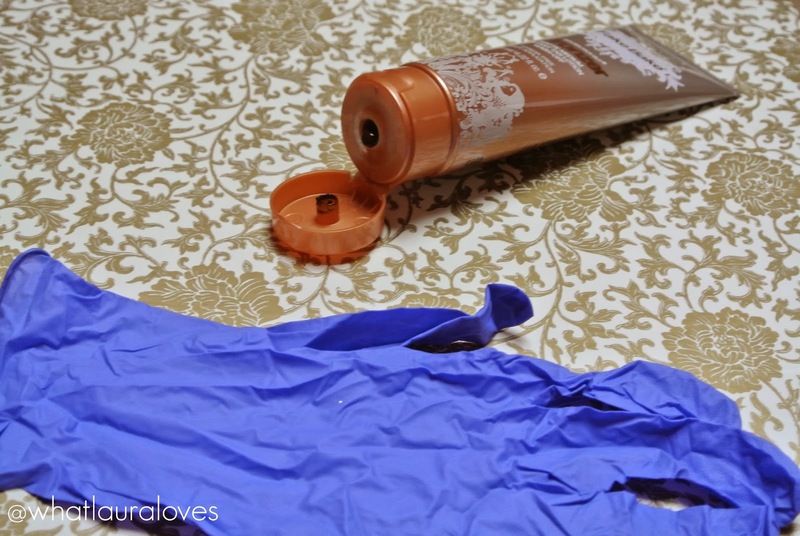 Simply put on the latex gloves that come in the box with the tan– how handy of Fake Bake- pop on a tanning mitt and squeeze a dollop out of the tube before applying in upward motions on your body, just as you would apply a developing false tan. I have a post all about how to apply fake tan if you need to swot up a little. The guide colour is very strong, just as a normal false tan so there is no need to worry about streaking as unless you’re applying this with the lights off, you aren’t going to look streaky. You don’t need to worry about that tell tale fake tan scent either as this tan smells of vanilla and a light perfume, it’s really nice. The lotion applies effortlessly as it is very silky smooth and sinks into the skin straight away without feeling sticky- you have to be fast moving with this as it is very fast drying making it a great option for when you’re in a rush to get out. The colour that the tan leaves looks incredibly natural. It isn’t too dark but it is noticeably darker after use than before. My skin looks sun kissed and naturally tanned after using this, just like I’ve been on holiday for a week. You can pick this tan up from Feel Unique where it is cheaper than the usual retail price and you get free delivery making it £10.80 delivered- great value. 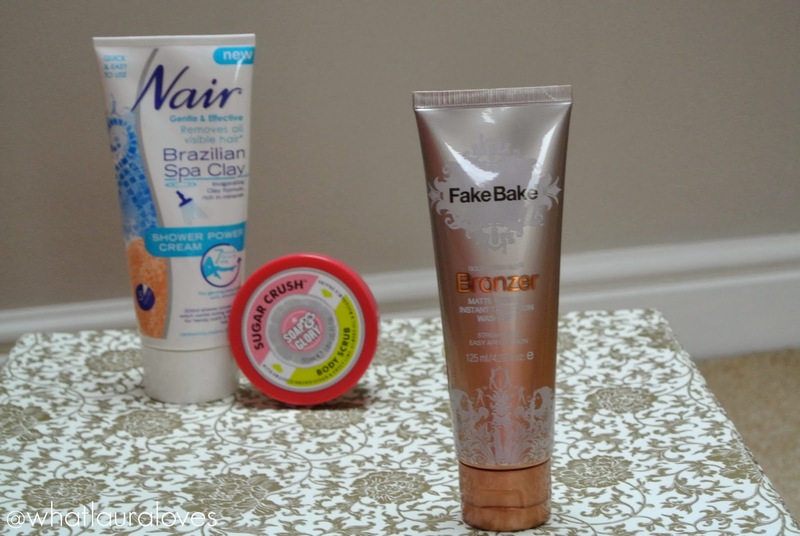 If you have a little more time to get ready then I would HIGHLY recommend the Fake Bake 60 Minute Self Tan (review here, buy here) which is quite honestly, superb. I must admit that since I started working full time all of those years ago, I’ve become a dab hand at applying my make up quickly and making sure it lasts, as I hate having to top it up during the day. On days where I know I’m going out on the night and that I wont have much time to get ready, I apply a long lasting make up base on the morning consisting of my Laura Mercier Silk Crème Foundation, Collection Lasting Perfection Concealer, Clarins Ever Matte Powder and the Sleek Face Form in Light for contour, highlight and blush. This is a combination that I know wont slide off my super oily skin throughout the day. I then add a slick of the Clinique High Impact Mascara and a slick of lip balm; I’m using the Blistex Intensive Moisture one at the moment. I leave it at that for the daytime and head out to work. When I get home and I’m in a mega rush to get ready, I simply don’t have the time to take my make up off and reapply so I opt for adding to my existing make up look to make it more evening appropriate. When I’m doing my tan for nights like this, I apply it in light upwards strokes up my neck and towards my face. Once it is dry and I have moved on to my makeup, I lightly dust my full face with a light coating of the Clarins powder then I go back in with the contour shade from my Sleek palette, top up my contour and then pull the colour down my neck to ensure that the tan is blended into my face make up. Then I take my natural daytime look to an evening one and the easiest way to do this is with some winged eyeliner, lashes and a bold red lip. 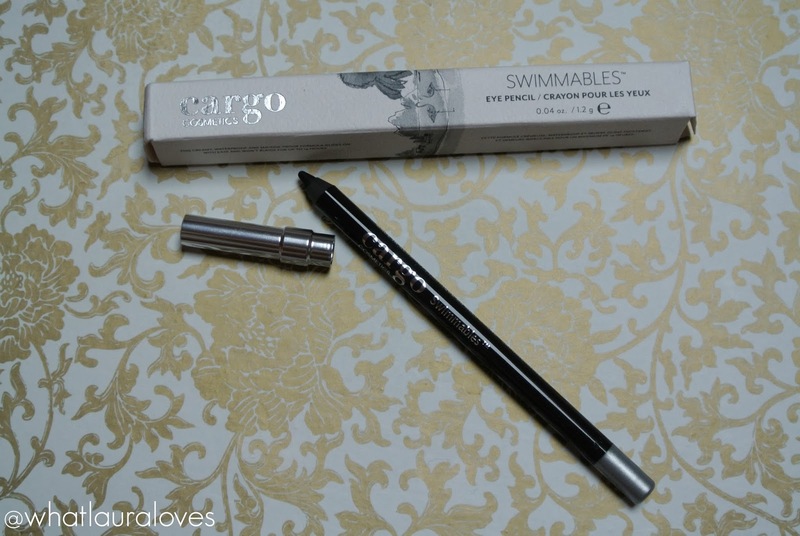 I start by taking one of the Cargo Swimmables Eye Pencils in Black Sea Black and line my water line before moving onto the lid where I wing the liner out. These pencils are some of the best I’ve tried. They are creamy in texture, strong in colour like a liquid and easy to apply like a pencil and the staying power is just ridiculous. 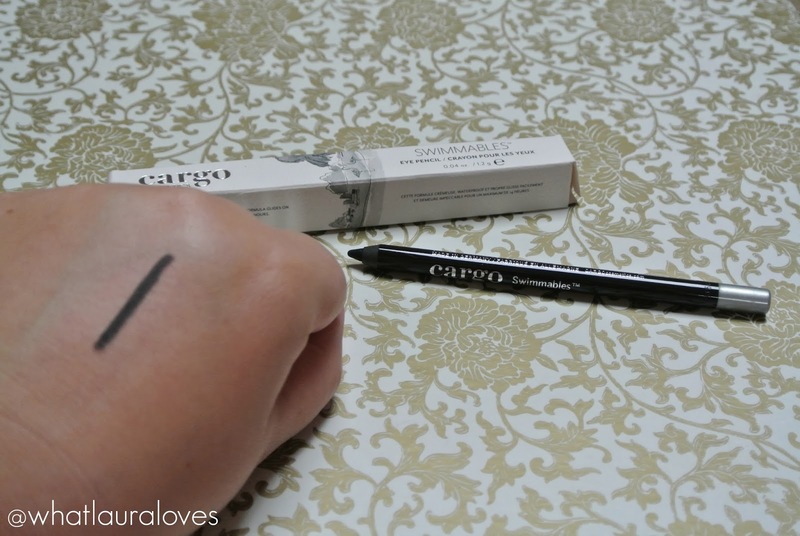 They are waterproof but more so than any other eye pencils I’ve used before as they last an absolute age and I have to use a dedicated eye make up remover to take it off. These definitely get a thumbs up from me and you can get your own from Beauty Bay and Debenhams. 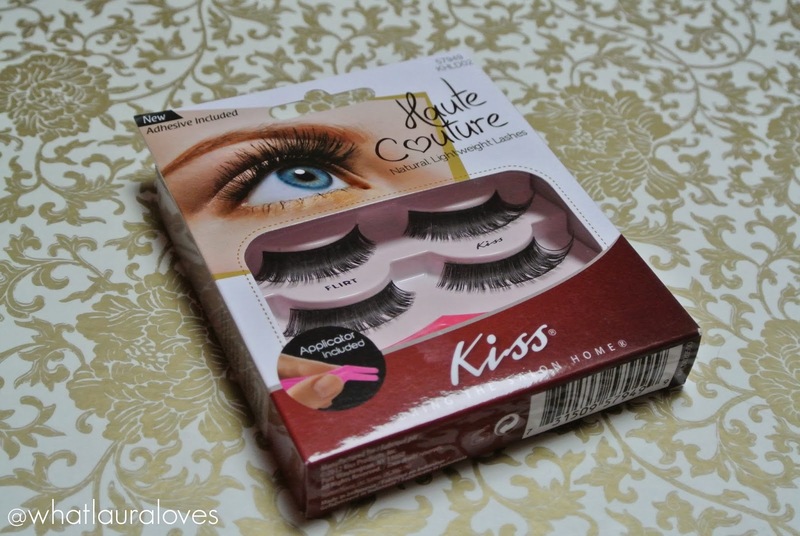 Then I apply a pair of my FAVOURITE lashes- the Kiss Haute Couture Natural Lightweight Lashes in Flir. The Flirt style is my favourite because the fan out at the edges which give you a glamorous look and really open your eyes at the same time. They’re that light weight you literally forget you’re wearing them and they are so easy to apply with the pink applicator that comes in the box. I use these to apply all of my lashes as they’re so handy- I can’t believe other companies don’t make them. Kiss really are the best when it comes to lashes- I used to be all about Eyelure but for the last year it’s been all about Kiss lashes for me. Kiss are awesome at keeping in touch with their fans and are always running competitions over on their Twitter page. You can check out their Pinterest for inspiration, Facebook, Instagram and Youtube too. To complete my evening make up look, I pop on a slick of Collection’s DeLuxe Lipstick in Prohibition. 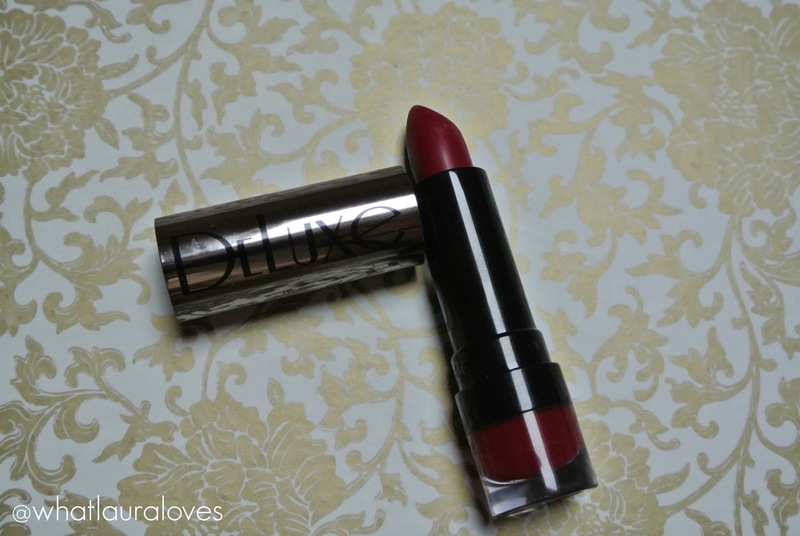 This is a gorgeous berry shade with deep red and plum tones in it. This has been my go to lipstick to take my makeup look from day to night over the last few months as during the festive season there are always so many events and parties to attend after work so I know this one works really well and would be great for Valentines Day. It feels quite slippy on the lips, much like a lip balm but with an intense colour. A lipliner is essential with this, particularly if you’re going to be sipping cocktails because it has great staying power but you want to be able to head out into the night feeling comfortable that it isn’t going to bleed. 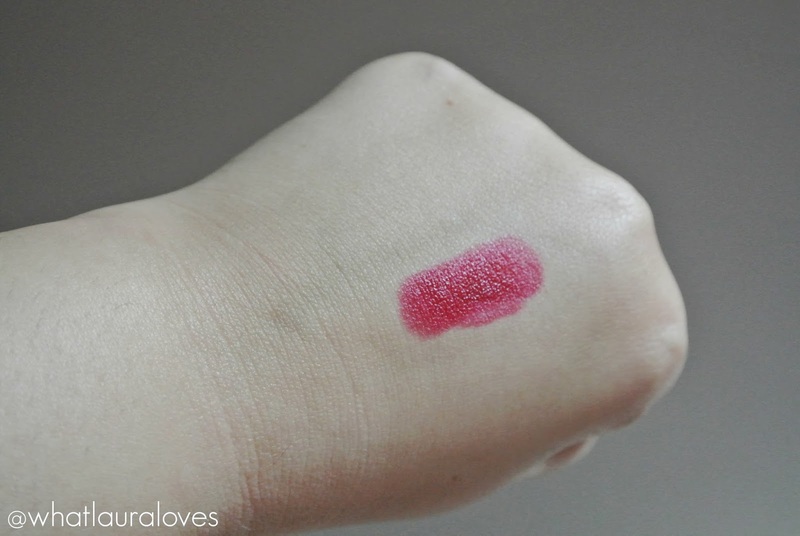 What I love about this lipstick is that it isn’t drying or mattifying so it isn’t going to settle into any cracks, dryness or lines on your lips so if you haven’t had time to exfoliate your lips beforehand, you’ll still be looking hot. How you wear your hair really depends on what your own hair is like but regardless, I’d opt for something that is quick and easy. Pull your hair up into a tight ponytail for a slicked back catwalk look, pop it into a bun ring for an on trend ballerina style or if you want to have long and luscious locks in an instant then pop in some hair extensions or a hair piece which are so quick and easy to transform your look. 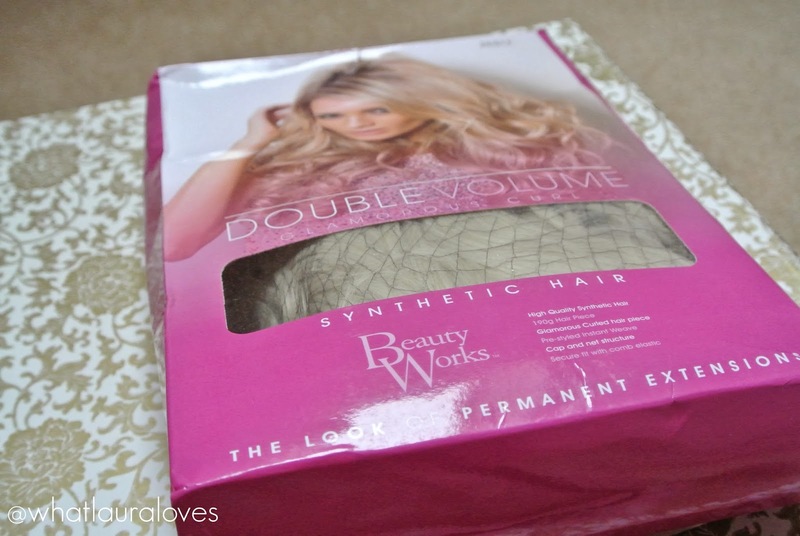 The hair piece I’m trying out at the moment is the Double Volume Instant Weave from Wonderland Wigs. It is made from synthetic hair although you would’t know from looking at it. I’ve always stayed clear of synthetic hair in the past, thinking that it would look really fake but this hair piece has completely changed my thoughts as it looks so natural, just like real hair. It is already styled too so you literally just clip your hair up underneath, leaving out the very front second, fit the hair piece over your hair and the crown to the nape of the neck then flip the front section of your hair back over the top of it. Super easy and no one will ever know. I’m going to give it a few more goes before giving my final review but so far, I am really impressed. When you know you’re going to be in a rush to get ready for a night out, choose your outfit and lay your clothes out the night before so that you’re not rushing around trying on every last item in your wardrobe when you’re supposed to be heading out of the door. This includes jewellery, shoes and the clutch you’re going to be carrying- if possible take your door keys off your car keys keyring and pick out your ID, cash and bank cards out of your purse on your lunch break at work and leave them in a pouch in your bag so you can quickly grab them to transfer into your clutch, before adding your lippy and phone. This will save you tonnes of time. Don’t forget to pop a mixed pack of Compeed Blister Patches in your clutch too, especially if you’re going to be wearing heels as the last thing you want is for your feet to rub and cause a blister on the big night. Then put on your outfit. When everything is laid out ready, it literally takes minutes to get dressed. For a Valentines night out, I’d suggest an LBD and some peep toe heels. Dress to impress girls. Holding hands, receiving roses or even a proposal are all regular occurrences for girls on Valentines Day so be prepared by having a gorgeous manicure. imPress nails by Broadway Nails are great for this as they enable you to have pristine nails in only a couple of minutes flat. Save yourself time by selecting the nails to fit your own the night before then when you’re getting ready the next night, all you need to do is to run the prep pad over your nails (this is a bit like a dehydrator to prepare your natural nails to adhere to the false ones), peel off the backing of the nails and press them down firmly onto each nail, holding them still for a few seconds and voila, you’re good to go. There are over 24 different styles available from plain colour to leopard print and they all have a gorgeously glossy finish which will complete your look. The two that I have here are Ecstatic Cling which is a bright pink and Payback which is an eye catching animal print. There really is something for everyone. If you’re going to be wearing peep toes or strappy sandals then you really need to look after your feet with Gehwol products over the next couple of weeks to ensure your feet are looking in shape. As for toe nail colour, I generally wear gel polish on them so if you’re then same then make sure you’ve had it done fairly recently so your piggies are looking preened and if you’re more of a nail polish girl then I’d suggest painting them the night before. That way you’re not risking smudging them when you’re in a rush to get ready on the night. I’m going to have some Valentines nail polish suggestions coming up on my blog soon so check that out next week. Take the last five minutes to give your outfit the once over. Check to make sure everything is in place with no tags hanging out and make sure you don’t have any lipstick on your teeth. 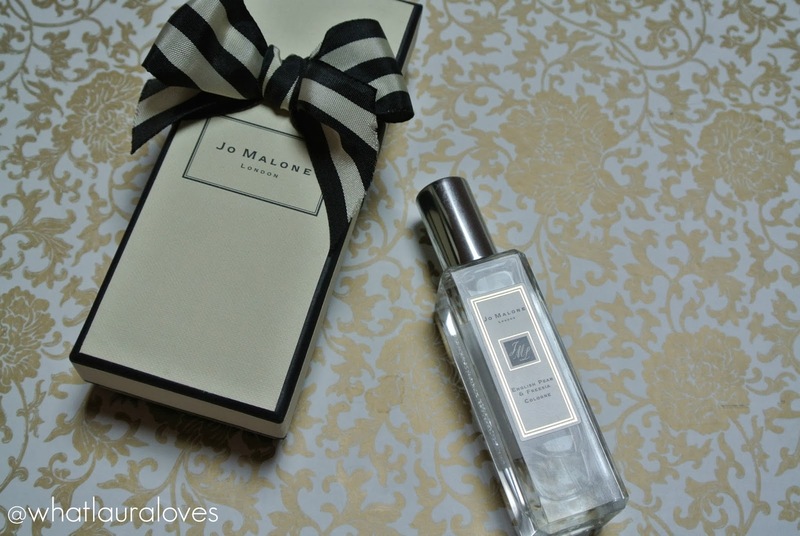 Give your pulse points a quick spritz of your favourite perfume (I’d recommend Jo Malone English Pear and Freesia for Valentines Day) and you’re ready for the night ahead.